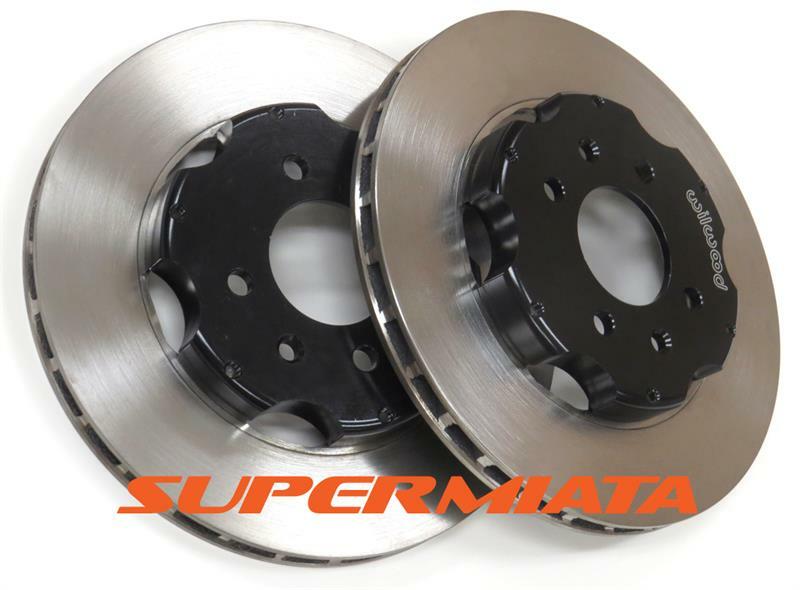 The Supermiata 2 piece front rotor kit save 3.9lbs per rotor over OEM. That is almost 8lbs in unsprung weight! The left and right Directional Vane are recommended for any ND that will see the track or autocross even once. Choose straight vane if it is street only. Note: This 2 piece hat conversion lowers your effective wheel offset by 1.6mm. OK with OEM wheel studs. Note: Does not work with OEM "Club" Brembos.